Formation Zone client Jerome Kennard, of ERLY, is the latest winner of GAIN Soup, a crowdfunding phenomenon that gives start-up businesses the chance to pitch for funding. The concept of SOUP is simple. Pitchers each have the floor for up to four minutes, and must rely on their passion and speaking abilities alone to win over the audience – no gadgets, giveaways or PowerPoint. The audience can then ask a maximum of four questions to try to establish which business is most worthy of investment. 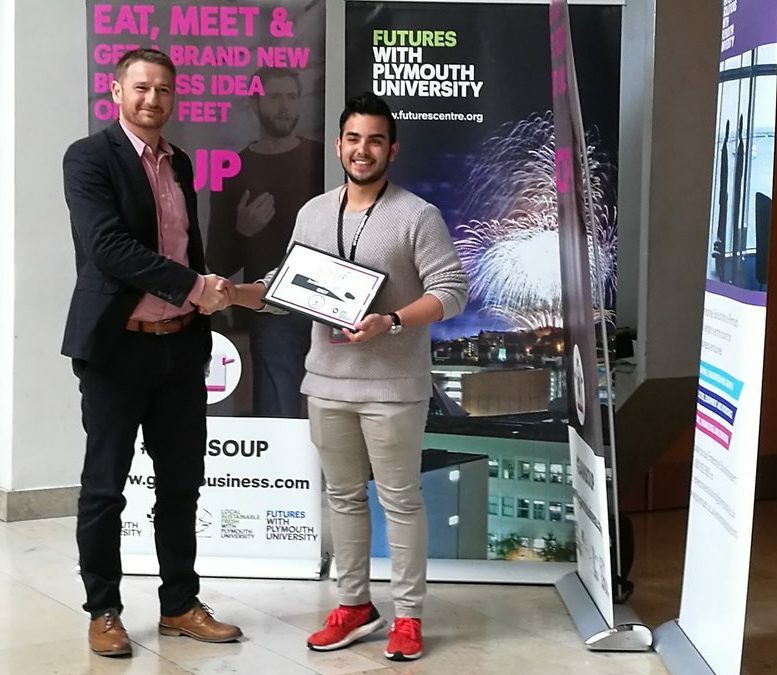 Jerome is the second Formation Zone client to win funding at SOUP and joins an ever growing list of businesses based here in the incubator that have pitched. This time around, Jerome was up against another FZ client in Feisty Crab Studios, so we know the competition was fierce! The FZ team want to say well done to both businesses for their excellent pitches and congratulations to Jerome and ERLY for securing the prize package!